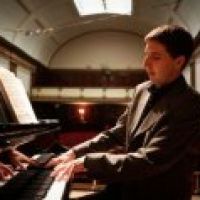 Additional Info: Timothy End BMus, DipRAM, ARAM graduated with a first class honours degree in music from King’s College, London in 2006 before entering the Royal Academy of Music, gaining the DipRAM award for an outstanding recital. He held the Shinn Fellowship at RAM for 2008-09 studying under Julius Drake and Patsy Toh. He is much sought after as a chamber musician. A multiple first-prize winner, Timothy was awarded both the Pianist Prize and Jean Meikle Duo Prize with the baritone Jonathan McGovern at the Wigmore Hall Song Competition in September 2011. Further prizes include the Acccompanists’ Prize at the Maureen Lehane Vocal Awards, the Parnell Award for an Accompanist at the ROSL Annual Music Competition, the Gerald Moore Award and the MBF Accompanist Prize at the Kathleen Ferrier Competition. Further concerts include a recital with the bassoonist Karen Geoghegan at the Philips Collection in Washington DC, a transatlantic engagement in New York with the trumpeter Alison Balsom and a recent opera production with Size Zero Opera in Singapore. Timothy performed at the newly-created Domingo Festival in Seville earlier this month in a Jazz and Blues programme with the sopranos Micaela Oeste and Angel Blue. Timothy and Jonathan performed a lieder recital at Restoration House, Rochester in April. This marked his debut on the fortepiano. Timothy is a member of Alchemy with the saxophonist Samuel Corkin and the duo perform regularly on the Live Music Now scheme. Timothy has performed on In Tune with the bassoonist Karen Geoghegan and the mezzo-soprano Marta Fontanals-Simmons. I charge £36 for an hour rehearsal in London. For a recital I would charge £300 minimum as an outline of my current fees.